CCMAC continues to support the Special Olympics, and participate in this very special event in New York State. 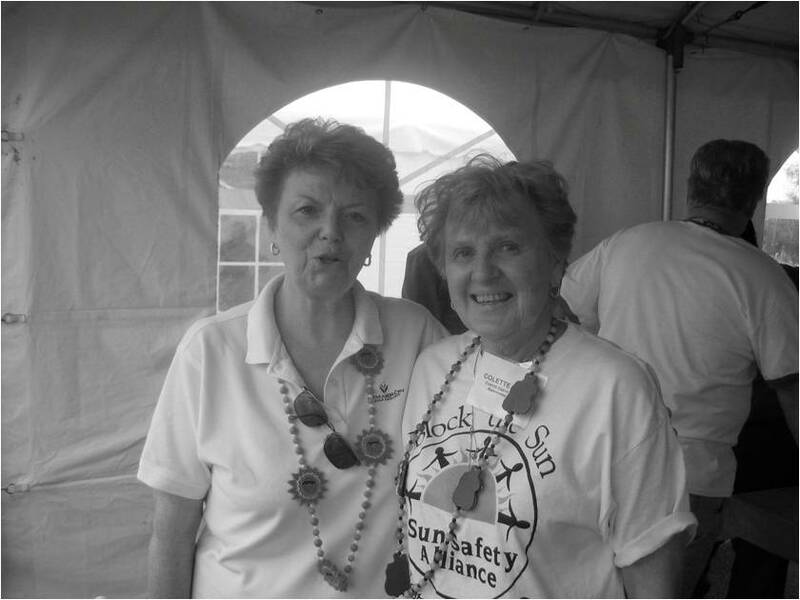 For the past three years CCMAC has volunteered it’s services distributing prevention and awareness materials, in collaboration with the Sun Safety Alliance. Pictured below are Beverly Berkin Health Education consultant to the Special Olympics, and Colette Coyne. CCMAC continues to participate in Community Health Fairs, like this one pictured bottom left. 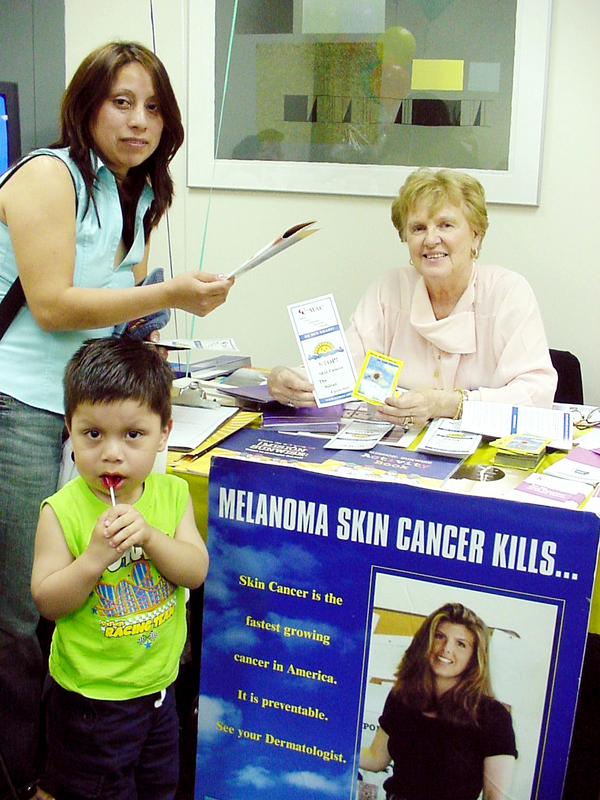 Below are a Mother and Son, residents of East Hampton, at the East Hampton Healthcare Center Fair where the “Be Sun Smart” message was received by all in attendance. The same message was received at a Health Fair for employees of Keyspan this month. 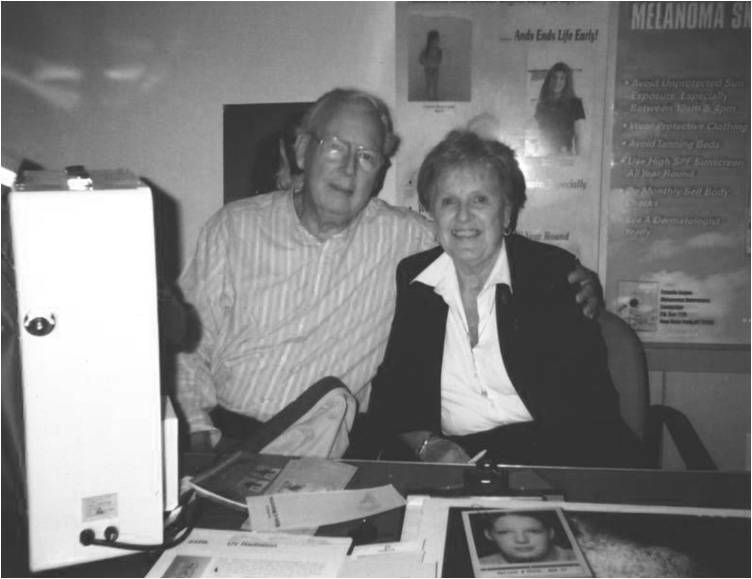 CCMAC Founders Patrick and Colette Coyne take a break during the Keyspan Health Fair for emplyees. Over a hundred Keyspan employees stopped by to check their skin using CCMAC;s Derma Scan machine, donated by McClain Labs.